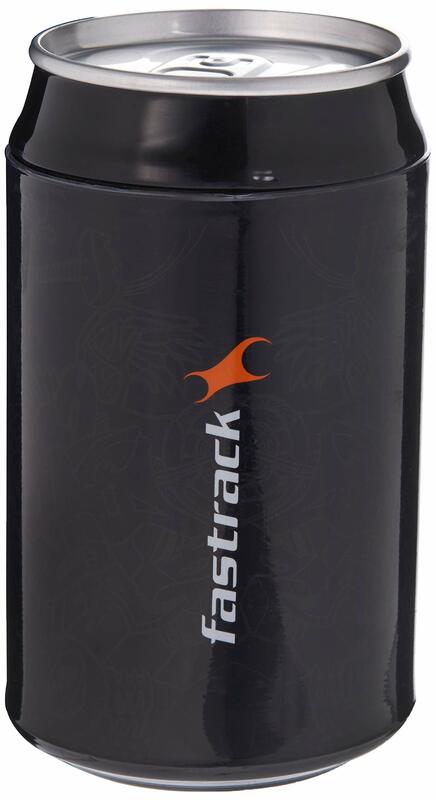 The primary all black metal watch from Fastrack. 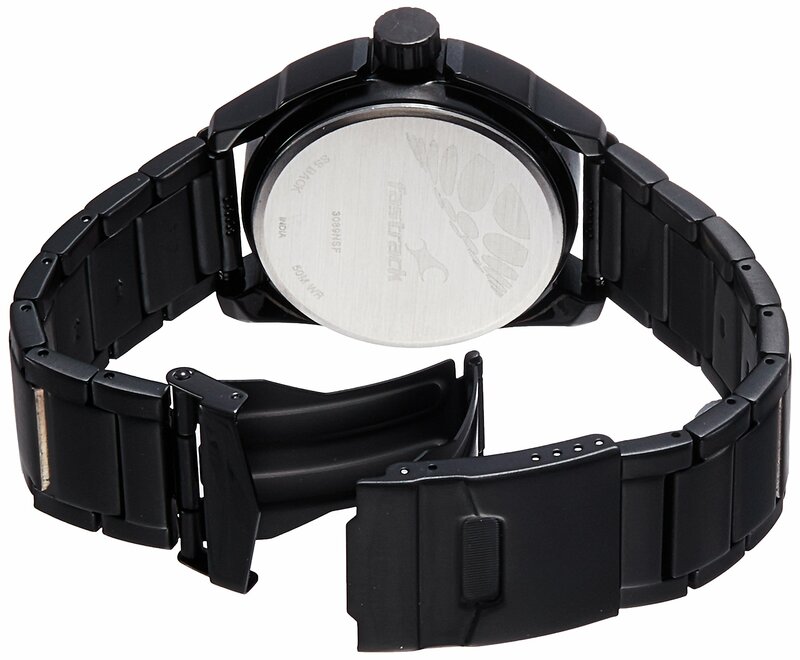 This chunky, bold watch has a mid sized case which goes your wrist perfectly. 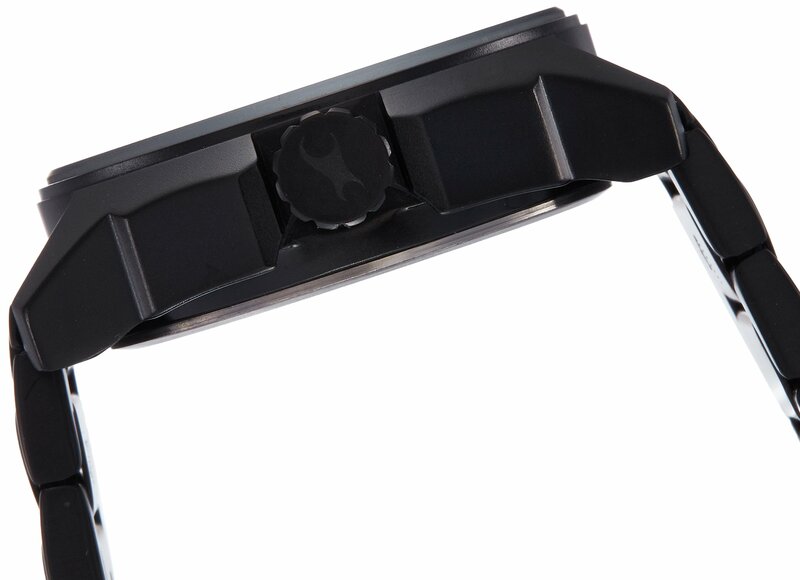 A facetted mineral glass sits on most sensible of a pure black dial with tone in tone marking. The one little bit of colour is infused during the red filled hands. 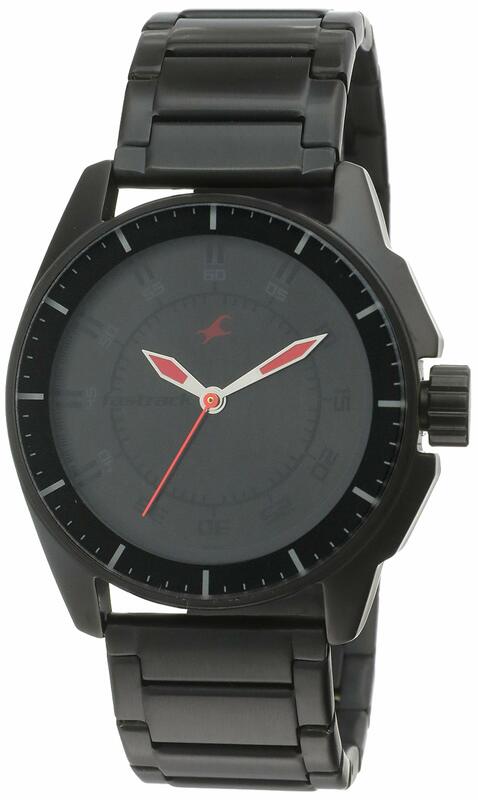 Paired with a black metal strap, this can be a will have to own!